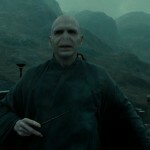 Time-travelling back to 2005: New J.K. Rowling interview material (Part 1)! This interview takes us back to a pre-Twitter time when Rowling still had a relatively private persona, and she was carefully ‘keeping the secrets’ while also teasing the reader with half-veiled access to the story’s future. What follows are some of my favourite insights from the unpublished parts of the 2005 interview; an interview given at a time when Rowling was happy to sit down for hours and just discuss Harry Potter. 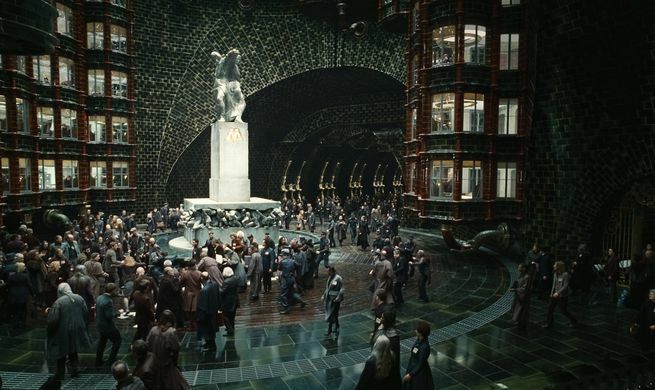 In an excellent in-depth analysis of Rowling’s public statements, Angua (in an essay available in the Leaky Lounge archives) has argued that they show a clear, if unspoken, desire to guide reader-response to her work. But, of course, this does not happen if what she says is not reported. In 2005 Rowling’s authorial interpretation had far more power than it does now, because the story wasn’t done yet. It wasn’t just that nobody else knew how the story ended, it was also that without the ending we didn’t yet know exactly what we did know meant. Grossman put this beautifully when he wrote in his review of Deathly Hallows how turning the last page of that novel made him eager to start the whole series again: ‘now that I know how the series ends, that knowledge propagates its way back through the series, casting everything that came before it in a different light and giving it a fresh new meaning.’ All that meaning was still locked in the future in 2005 and every interview a chance to glean from the author’s mind whatever crumbs she was willing to drop. 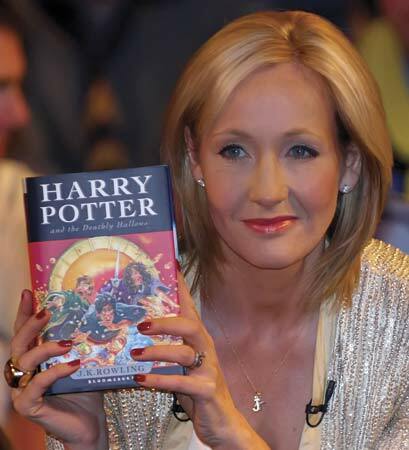 One of the things that happens when we return to this 2005 interview is that we find that Rowling did drop a number of hints – hints that never made it into print. After the publication of Deathly Hallows (a novel with the working title Harry Potter and the Elder Wand) Rowling spoke of how ‘I must admit, I always wondered why nobody ever asked me what Dumbledore’s wand was made of! And I couldn’t say that, even when asked “what do you wish you’d been asked…” because it would have sign-posted just how significant that wand would become!’ Strikingly, however, she dropped a major hint about this wand in 2005 – a hint which seems in hindsight like playing with fire! She told Grossman that ‘the source of Dumbledore’s power is very rarely investigated.’ The interviewer, understandably unaware of his ‘scoop,’ did not print this comment, so readers were not lead by Rowling’s comment to ponder whether there were any questions that they ought to be asking about Dumbledore’s wand…. But something else this interview shows is that Rowling is not only trying to guide the reader’s response through her interviews; in subtle ways she also acknowledges that she is responsive to their criticism. 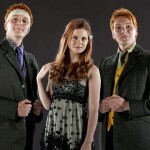 It is noticeable that Rowling turns a question about style into a question about gender. 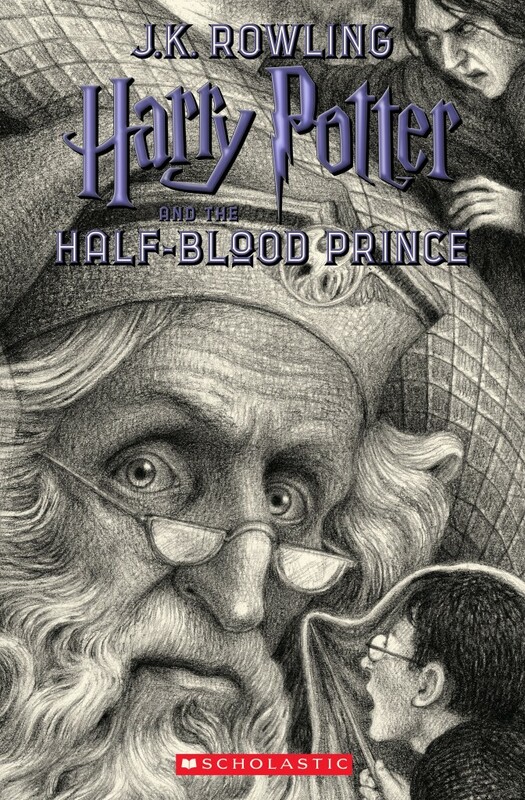 She suggests that the way in which the books unfold from Harry’s perspective – ‘Harry is the eyes on to the books in the sense that it is always Harry’s point of view’ – meaning that they are not sexist per se but instead echo what the author believes is the sexist perspective of a pre-teen boy. Grossman is not asking about gender but Rowling reads the question this way because she wants to defend herself against accusations of sexism: ‘some haven’t really seen it that way.’ This phrase suggests that (despite Rowling’s avowed inattention to critical studies of her work) she was aware feminist critiques of the series such as Christine Schoefer’s ‘Harry Potter’s Girl Trouble’ (2000) and/or Elizabeth Heilman’s ‘Blue Wizards and Pink Witches’ (2003). The distance which Rowling jumps from the question in order to address issues of gender points up her desire to defend her work from the accusation that it is un-feminist. It might be an interesting, given Rowling’s observation here of how reading aloud gave her a fresh perspective on her style, to see whether this ushered any stylistic change for the final two novels. It seems likely that she is once again obliquely responding to criticism here – recognising and to an extent accepting some of the stylistic critiques which had been levelled at her. One way of reading her admission of finding ‘problems with my language, things that irritated me. Mannerisms that irritated me’ is that Rowling has chosen to respond in Half-Blood Prince to the charges levelled against her style. She suggests that she will be reducing some of her stylistic mannerisms (such as overuse of adverbs) in the final two novels, but she is chary of imputing this change to an outside agency. She locates it instead to her own experience of reading Harry Potter in a way that is new to her, although highly familiar to millions of others. 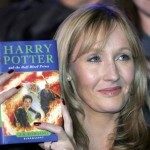 It is also pleasing to hear that Rowling experienced reading Potter aloud to her family, like so many of her fans. Children’s literature remains uniquely connected with ancient, oral, traditions of storytelling for – unlike most modern writing – children’s stories are still spoken aloud. 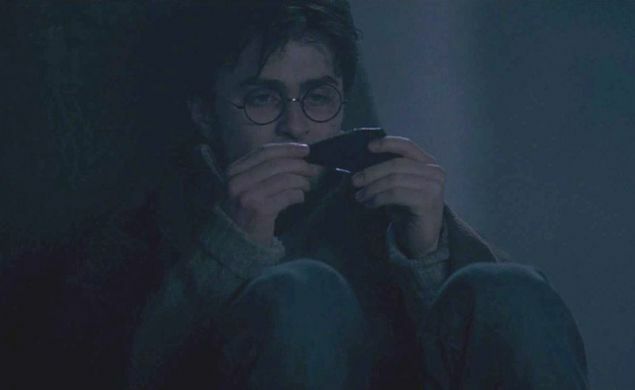 Harry Potter has been listened to by millions: read aloud by parents, friends, siblings and in audiobook form. Maria Tatar, a Harvard scholar of children’s literature, has spoken about how it was only when she listened to the audiobooks of Harry Potter that she finally understood their popularity: ‘all of a sudden, I got it—I could remember it, and I could visualize it. So much of it is dialogue. It’s not exploring minds. It’s conversations and actions that drive these books.’ This sense of reading aloud opening up something new about the book is echoed over and over by fans. As one writes: ‘I am reading the books aloud to my son these days, and though I’ve read them to myself an embarrassing number of times, I have not said all these phrases or names aloud before, and I’m really noticing the artistry with which she shapes names.’ Reading aloud brings a new perspective to the reader (as well as the listener) even when that reader is the author herself. Rowling has spoken of how satisfying she finds it that her books are being read aloud: ‘there’s nothing more gratifying than to listen to people saying that entire families read the books together… They read one chapter together and then they gathered again to read the next one… A lot of families told me they did that and that is gratifying in so many levels. The books have become a social act.’ There is a deeply pleasing circularity to the fact that this social act was replicated, for Phoenix at least, within the Murray household. 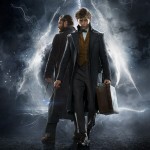 Thanks to Lev Grossman for giving permission for the honor of having this new J.K. Rowling content added to Leaky’s extensive archives, and to Dr Beatrice Groves (who you can find on Twitter, here) for three excellent write-ups of the new material! Beatrice previously guest-published an analysis of the History of Magic exhibition at The British Library, which you can find here.